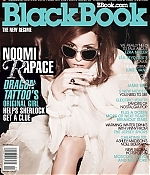 As the original girl with the dragon tattoo, Noomi Rapace cultivated her vengeance-seeking alter ego. With Lisbeth Salander behind her, the enigmatic Swedish actor digs her talons into Guy Ritchie’s “Sherlock Holmes: A Game of Shadows”. Hollywood glitz never felt so real.